In the prehistoric days Lord Sri Vishnu killed Hiranyakasipa and he was moving around in the Forest, Goddess Sreedevi came in the disguise of ‘Chenchu’ tribe lady to calm down the anger of Lord Vishnu. She calms him down and hugs him (‘Penu chesukonuta’),so this temple (‘kshetra’) was named ‘Penusila’.Later on, as the days passed by the name changed to ‘Penchalakona’.This temple has lot of fame and is reputed as the ninth kshetra of Lord Vishnu. Penchalakona Mountain in Nellore Dt., Madras is the highest point in the eastern ghat with in that district. 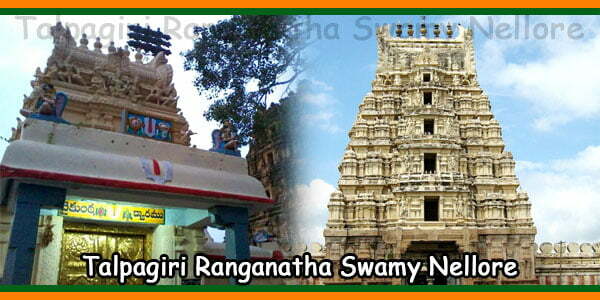 Gonupalli is situated at a distance of 15 miles from Rapur. The total population of the village is made up of several sub-communities of case Hindus, Scheduled Castes (368) and scheduled Tribes (247). The chief means of livelihood of the people is agriculture, Agricultural labor and other traditional occupations. 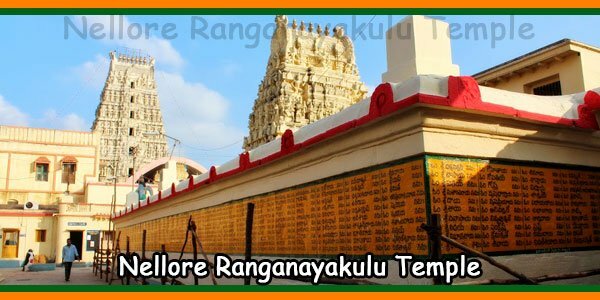 The Temple of Sri Penusila Lakshmi Narasimha Swamy is situated at the foot of Hill of the picturesque Penchalakona Valley. 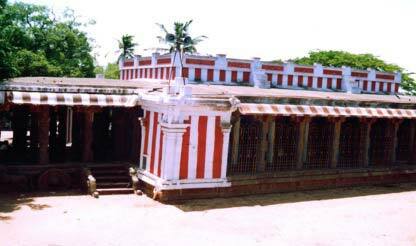 The history of the Temple is buried in a hoary past and its “STHALAPURANA” indicates that it was a famed place as “TAPOVAN” of KANVAMAHARSHI who performed penance. The river KANDLERU as it is now called, originates from the water falls of the mountain ranges on the WEST and the South, had another name KANVAYERU. The river flows through Rapur Taluk and empties itself in the Bay of Bengal, Near Krishnapatnam. The only construction that seems to have been at tempted about 670 years ago was the Garbhalayam (SANCTUM SANCTORUM) which had gradually been left neglected. And today it is in a state of virtual collapse. The image of the lord is a self manifested one. ( SWAYAMBHU) Two stones inter twisted to from a lion’s Head at the top. 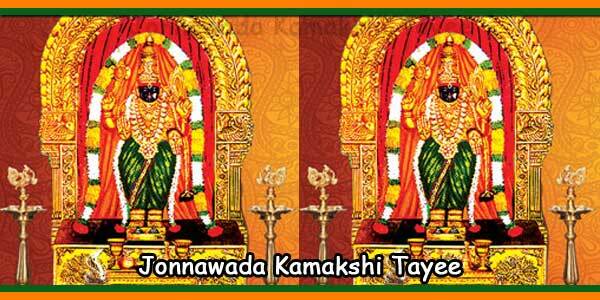 Hence the Lord is called “PENUSILA LAKSHMI NARASIMHA SWAMY” I Telugu “PENU” means twist and “SILA” is stone. After killing Hiranya Kasipa as NARASIMHA, Lord Vishnu married Chenchu Lakshmi in BHAIRAVAKONA, a place at a short distance from Pensusilakona and killed the RAKSHASAS who were torturing “RISHIS” . The Lord, Vishnu used to visit the lake every Saturday and as an evidence a Silver Umbrella rose from the Lake. The DEITY is very powerful are renowned as the saviour of chaste women. Everyday gollabayadu used to go to the Kona to graze his cattle regularly from Gonupalli. One day boyadu saw an old man who told him that Penusila Lakshmi Narasimah Swamy established Himself in Kona. He asked boyadu to straight to the village head an inform of this miracle. He turned back to see the old man. To his astonishment the old man transformed himself into a rock. After sine time the village head dreamt of the situation and accepted that the miracle was true. Then, the village head proceeded to build a temple and appointed Archankas (PRIESTS) to perform Pooja to the Deity regularly. 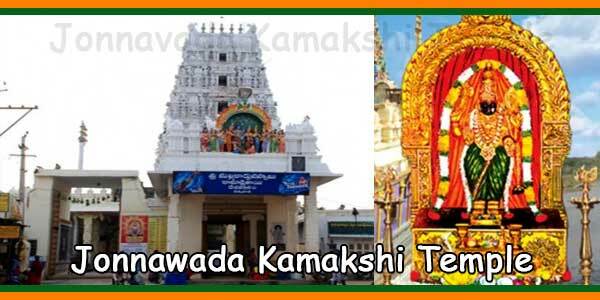 Sri Penusila Lakshmi Narasimha Swamy as Penchala Swamy festival is celebrated every year from viasakaha Sudda Dwadasi to Bahula Padyami (April-May) to five days. Devotees fulfill their vows and offer hair to the Deity . 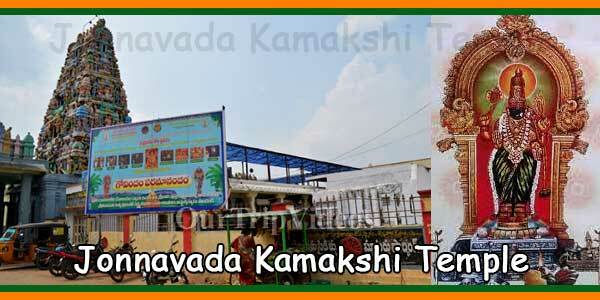 It is an ancient festival confined to the district and the neighboring districts like Cuddapah. Godess Aadhi Lakshmi idol is installed in the temple. Lord Aanjaneya Idol was placed facing Lord Vishnu, facing the West direction. There are nearly 25 cows are maintained by the temple authorities. Every day before sunrise Gopooja is being arranged, devotes who are interested in this pooja has to contact the temple authorities. About 10 acers of land is used to grow tulasi,dhavanam,marmam and other flowers for the pooja. From Rapuru 30 Kilometers, Buses are available for every half an hour. From Nellore 75 Kilometers Buses are available for every one hour. Phone No: 08621 221604 / 221605.